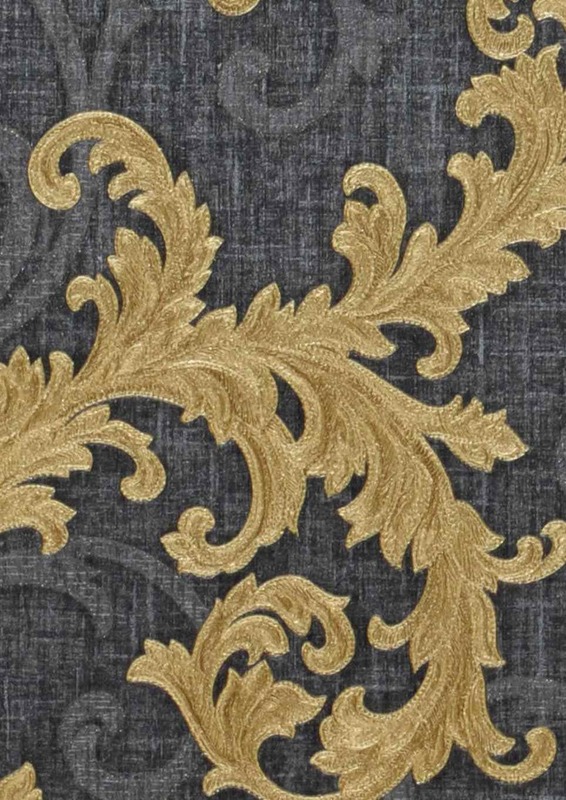 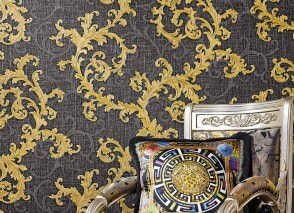 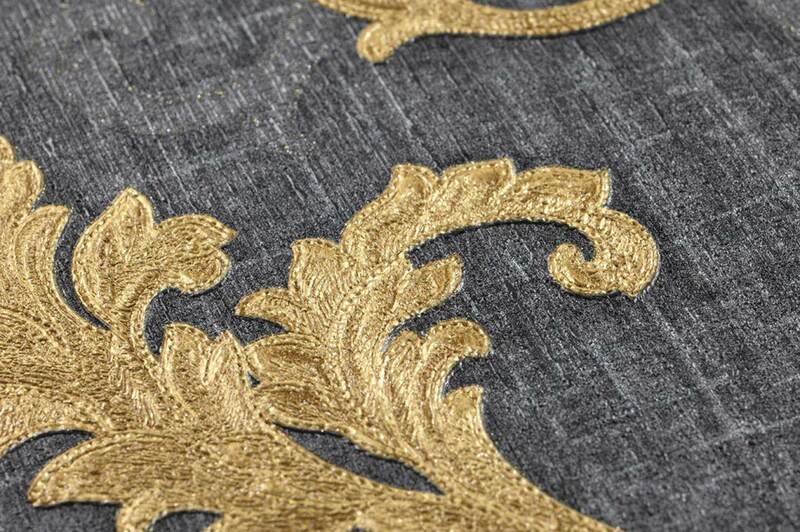 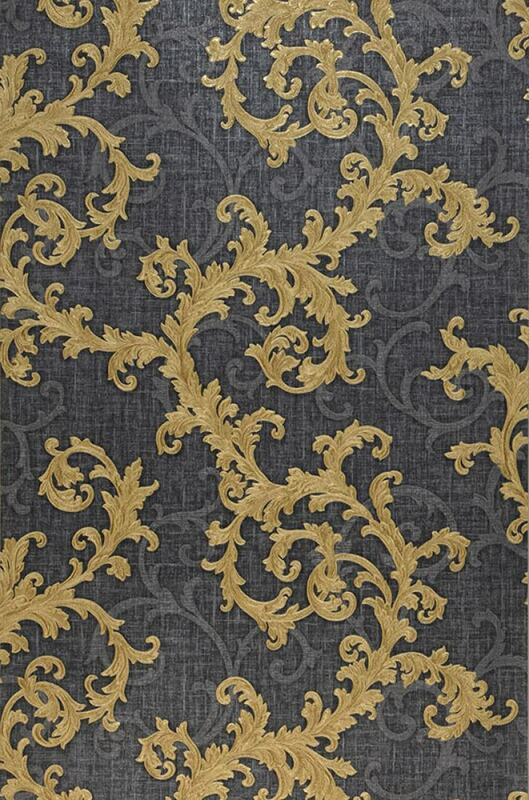 Just like the most valuable of fabrics with woven-in gold threads - this luxurious Versace wallpaper manages to build a bridge to the designer label's haute couture. 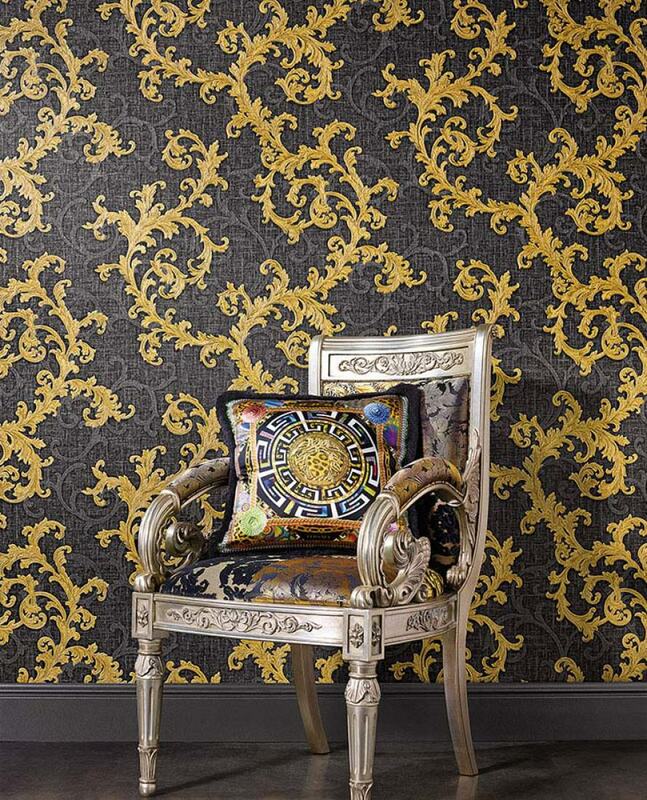 The Neo-Baroque elements appear to be moving skywards, symbolising growth, and the golden components seem to be kissed by the sun. 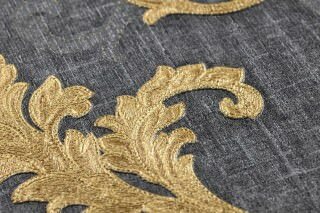 The textile look is achieved by the use of a special vinyl coating which emphasises the embossed relief-structure of the pattern.